On a warmer, but still snowy afternoon, I decided to nestle in by the bird feeder and wait for some company. It didn't take long for the birds to overcome their doubts about me and head for the food. A red-breasted nuthatch also moved in to the feeder for a snack. 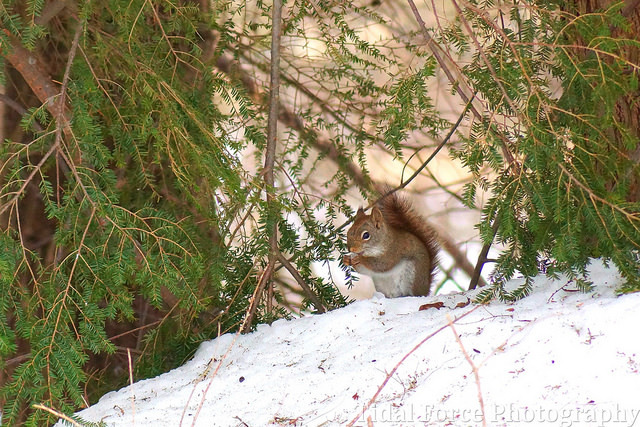 Not the be left out, a hungry red squirrel decided that he needed some bird seed as well.